Sometimes when traveling you make some bad decisions: a turn on the wrong road, a ticket to a sight not worth the price of admission, an awful meal in a bad restaurant. So it’s nice to look back on a good decision: Putting off a day of punting on the Cherwell River until our friends the Carpenters arrived in Oxford. We made the decision based on cost. It was 20 pounds to rent a punt for an hour. We decided it would be best to share that with more people in the boat — up to five could take out a single vessel. 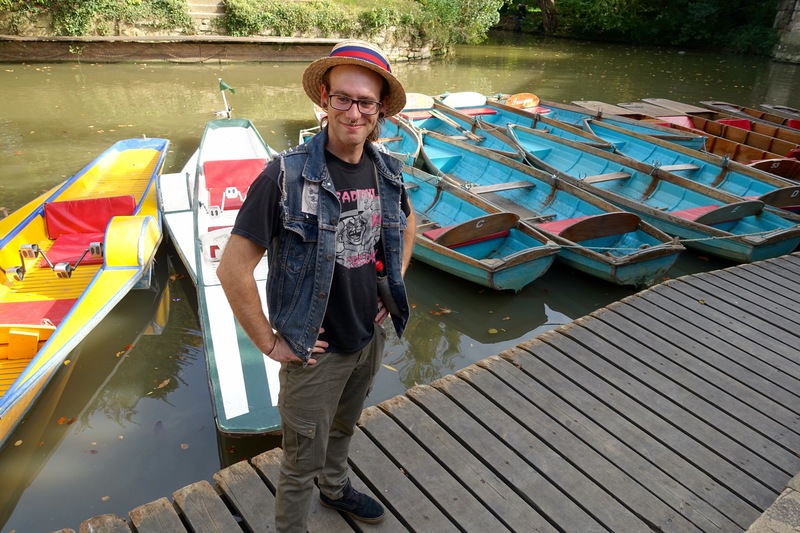 But the best part of having the Carpenters included was that they brought along their own punter: 23-year-old son Ben, who got the knack of guiding the boat down the river in no time and took us around an island in less than the 45 minutes the concessionaire said it would take. Given the right hat, Ben could find work on the canals of Venice. Ben tries on a hat meant for punting. 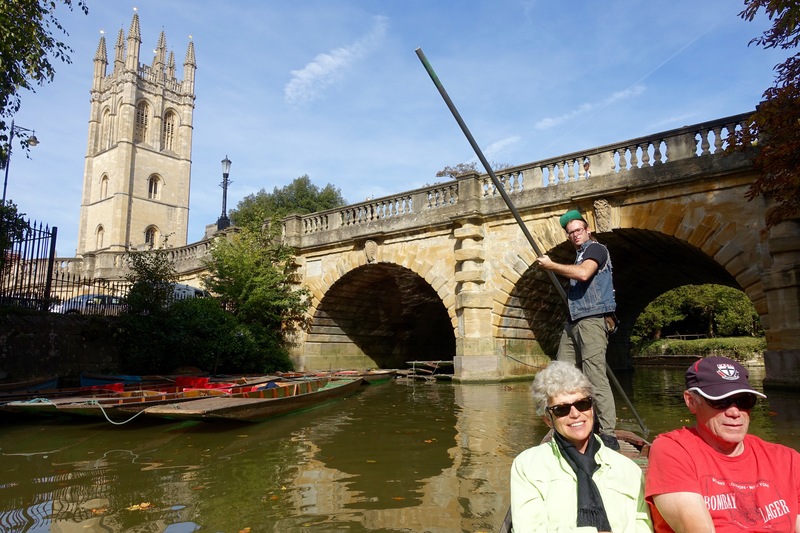 Posted on October 5, 2015 October 5, 2015 by jbsaulPosted in TravelTagged Cherwell River, Oxford, punting.